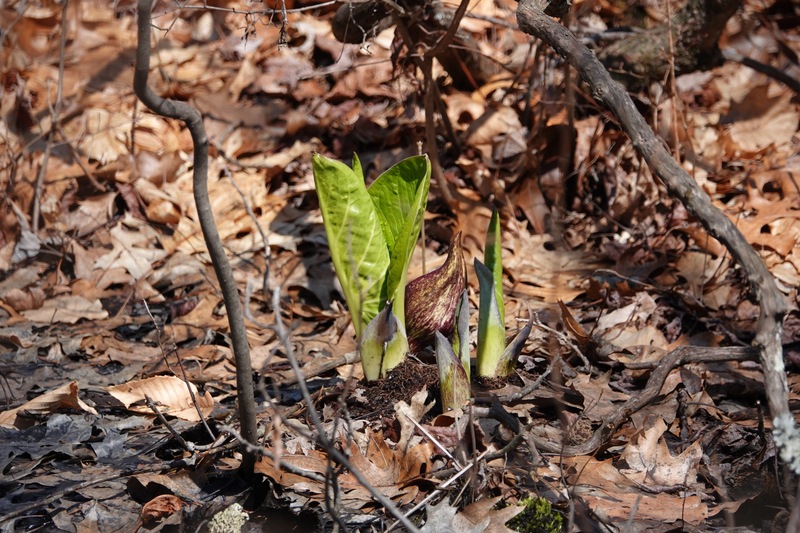 Some skunk cabbage, so called because of the smell, which attracts flies. Flies being some of the earliest pollinators in spring. 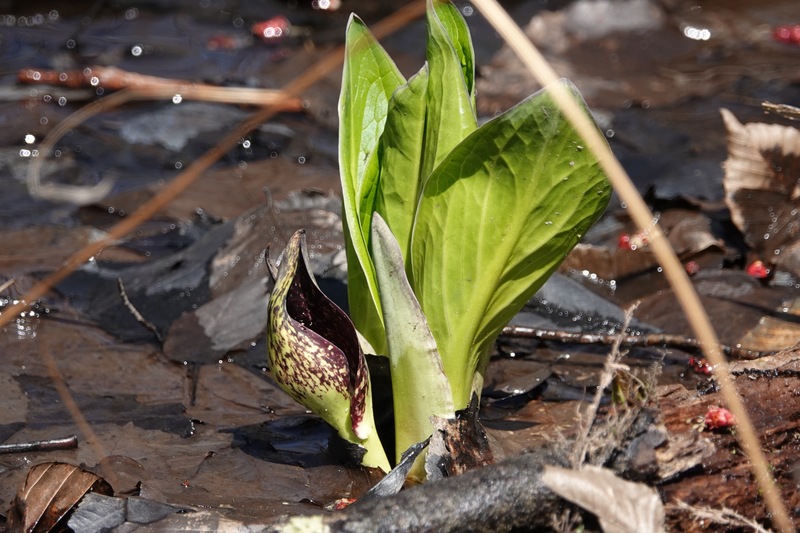 The mottled curvilinear part is the spathe, a sheath-like bract that encloses the spadix. Unfortunately off the path, so couldn’t get closer. Through the magic of the internet, however, you can take a closer look at a previous post of mine with details of the spadix.